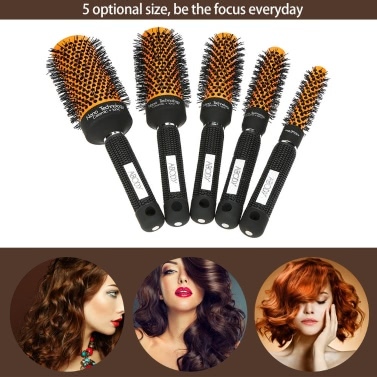 This round comb is designed for curling hair. 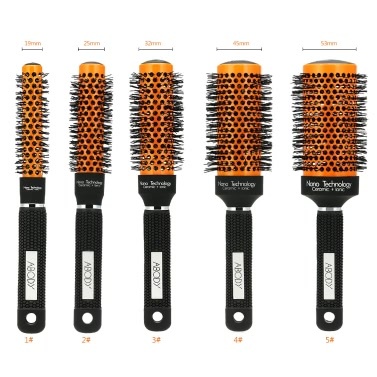 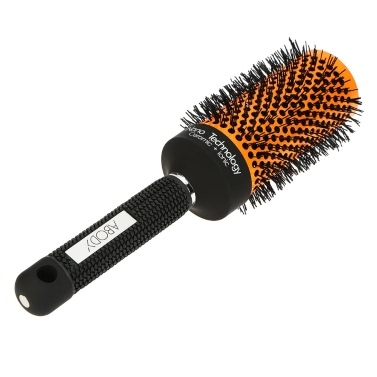 It has non-slip handle which can be hung and a ceramic comb head, releasing anion and massage your head. 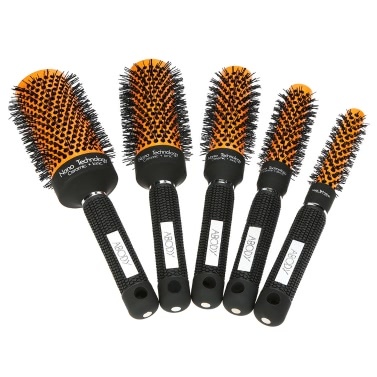 Ceramic surface makes the distribution of heat uniform, protecting your hair from damaged. 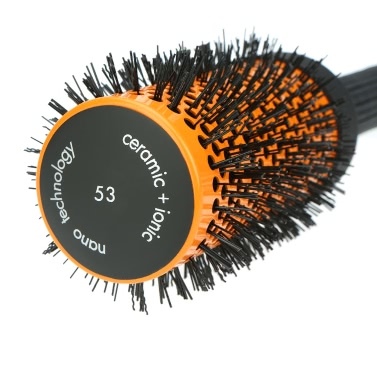 It can release anion to neutralize cation which makes your hair fluffy. 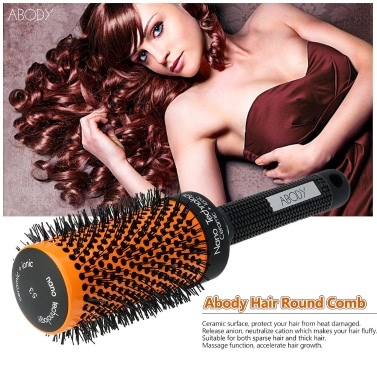 Hole design makes it suitable for both sparse hair and thick hair. 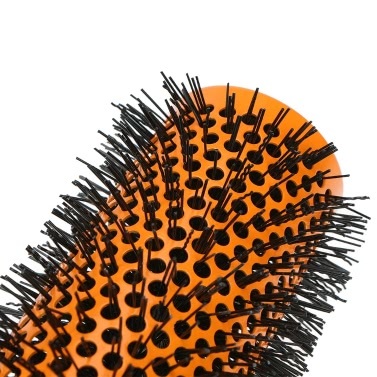 Nylon comb can massage your head, accelerating hair growth. 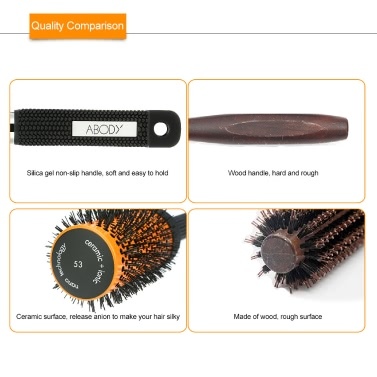 Its handle is made of silica gel, softer and more comfortable. 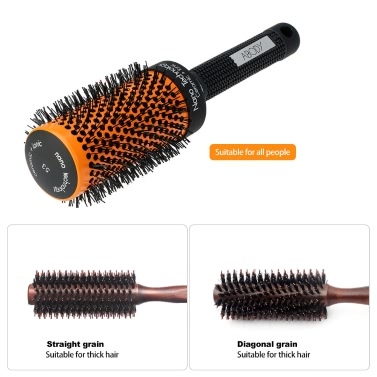 Non-slip design makes it easier to hold. 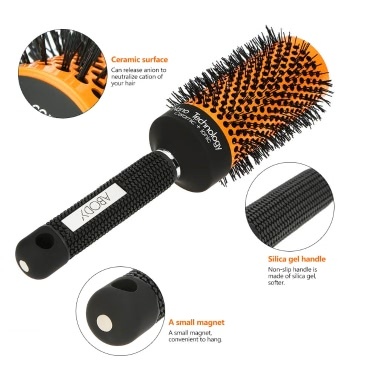 The small magnet on its bottom makes it convenient to hang.